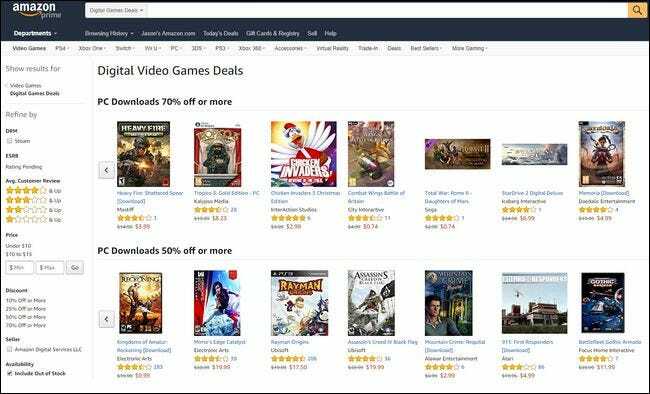 Unbeknownst to many people, it’s not a requirement that you purchase a game directly from Valve in order to use it with their Steam gaming platform—and, in fact, it’s often advantageous to purchase your game from a third party retailer. Let’s take a look at how to get your third party games into your Steam account. The click-and-done purchase process on Steam is, obviously, very, very convenient, but it doesn’t always yield the best prices. While Steam is well known for their huge Summer and Winter sales (as well as a spattering of deeply discounted games here or there throughout the year), the vast majority of games on Steam sit at full retail for most of the year. In fact, if you buy a game from outside Steam, you can often import the game into your Steam library, and it’ll appear exactly as if you’d bought them through Steam in the first place—complete with play time and progress, Steam achievements, and more. So, if you’re willing to venture outside the Steam marketplace and do a little comparison shopping you can end up saving quite a bit of money, with no downside to you. Note: Not all games can be imported into Steam, but that doesn’t mean you can’t use your Steam library interface to manage even those titles. If you find yourself with an unrecognized (or very old) game title that you still wish to use Steam to manage, check out our guide to adding non-Steam games, complete with custom icon artwork, to your Steam library. Warning: Due to the popularity of Steam, there are a lot of sketchy sites trafficking fake Steam Keys. We do not recommend searching Google for “Steam Keys” and picking the cheapest reseller you can find. Reseller experiences range from “I saved a few bucks and nothing awful happened” to “My computer is now infected with ransomware”. If you’re curious about the world of key resellers, this excellent long read over at Polygon dives into the issue. The most bulletproof shopping strategy is to buy only from firmly established organizations like Amazon, Best Buy, or Newegg. You can also get Steam-compatible keys from popular bundles like The Humble Bundle. If you’ve heard of the store before, it’s probably a safe bet. 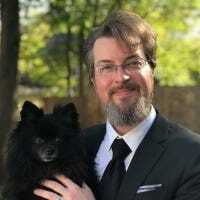 If you want to comparison shop and/or get alerts when prices fall across Steam and related game sale sites, we’d recommend checking out isthereanydeal.com, which can track discounts and notify you when a game you want is on sale, where, and if it’s compatible with Steam importing. 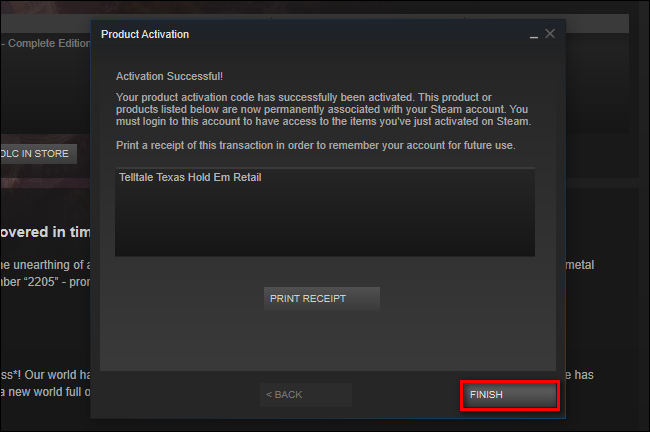 In order to add games purchased through a third party to your Steam account, you’ll need the activation code from the third party retailer. You can either redeem codes on the Steam website or via the Steam desktop application. 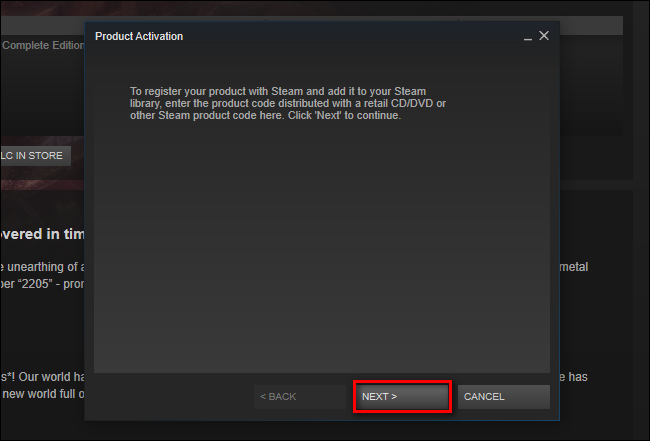 To redeem a code in the Steam application, open Steam on your computer and from the top navigation bar, select “Games” and then “Activate a Product on Steam…” to start the product activation wizard. To redeem a code via the Steam website instead, head to the Activate a Product on Steam page and sign in with your Steam account. Enter the product key here and go through the wizard. The website works basically the same as the Activate a Product on Steam option in the Steam client, but it can be used even if you don’t have Steam installed on your current device. You could even access this website from your phone. On the first page of the wizard, you’ll be prompted to get your code ready, click “Next” when you’re ready. On the next screen agree to the terms of service by clicking “I Agree”. On the next page of the activation wizard, enter your product code in the slot and click “Next”. 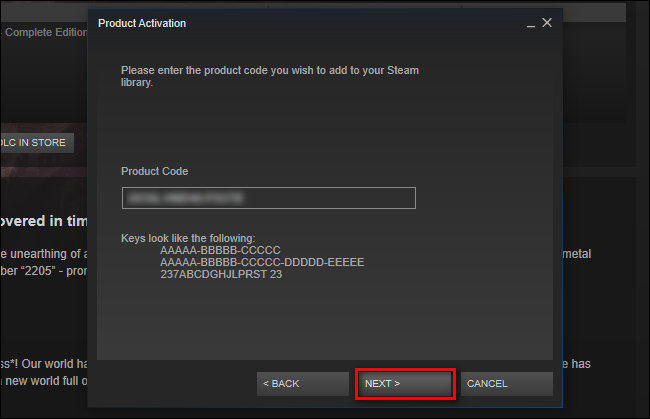 Do note that the name given to the activation codes is rarely “Steam Key” when you’re buying from a different retailer and it may be labeled “Digital Activation Code”, “Product Code”, or some variation there of. The important part is that the retailer you purchase from notes that the key can be redeemed on Steam and that it is formatted like the examples seen below. On the last screen, you’ll see a confirmation of the game title as well as a button that allows you to print a receipt of the game activation transaction. The only difference between what you see on the screen and what is printed out is that the printout includes your Steam username and a confirmation code in addition to the game title. Click finish when you’re done reviewing and/or printing the information on the final screen. Simply click on the “Install” button, like you would any other Steam game, to download the game and get started playing it.